The migration from analog to digital brought along so many challenges in the 21st century. Whether it’s on desktops, laptops, or in mobile devices, our eyes remain glued to the screen for more than 10 hours a day. The internet has caused people to become slaves to the screens. Our desire to be connected to the digital world has grown out of hand such that nowadays people are being diagnosed with strange diseases like nomophobia—a fear of being without a mobile phone. But social commentary is just a fraction of the imminent danger that screen obsession poses. 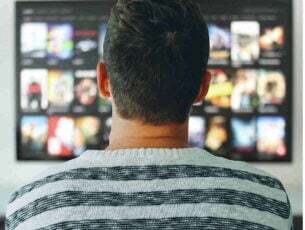 Recent studies show screen obsession causes eyes strain, which includes a cocktail of symptoms (lack of sleep, headaches, blur vision) and potential long-term damage to your vision. For instance, the blue light emitted from these screens reduces melatonin levels required for natural sleep. Doctors often recommend taking regular breaks to prevent eye strain but we all know how hard this can be especially when you have some serious games to play or a deadline to beat. So today, we will introduce you to the 7 apps that will help reduce eye strain from your monitor without fuss. F.lux is a free software that adapts colors of your screen’s display to the time of the day; not just brightness, but tint as well. For example, it will activate in the evening and gradually turn the glow to a tint of orange or golden hue as night falls. 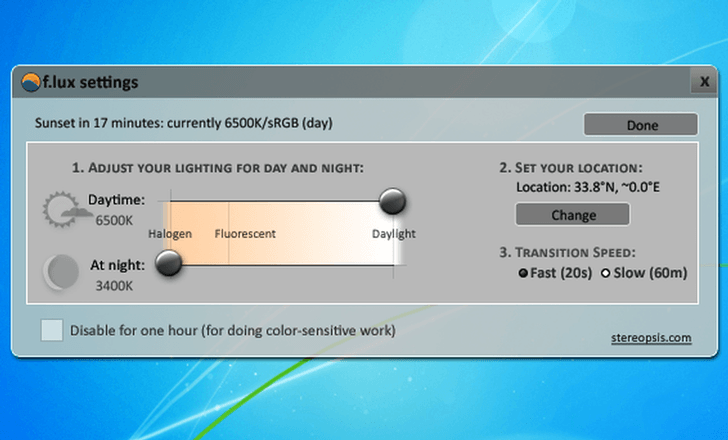 You can also customize it manually by adjusting the color intensity, which determines how strong the effect will be. This way, it controls the amount of blue light emitted from your screen. F.lux is easy to install and available across multiple platforms. Eye Pro is a Windows app specifically designed to help reduce eye strain but also does a stellar job at keeping your eyes properly moisturized. 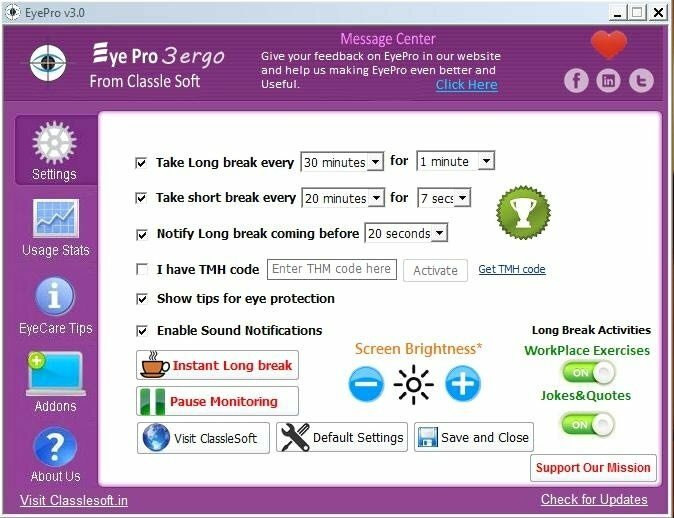 Developed under the guidance of imminent eye specialists, Eye Pro is one of the best software for reducing eye strain. Since research shows that our eyes blink rate reduces drastically when we use a computer, developers of Eye Pro designed the app to help you blink more. It has an automatic adaptability mode that adjusts its setting based on your current eye status. It gives break alerts at custom intervals. There are two kinds of breaks; short break and long breaks with eye exercises at preset time intervals. Calise is a free and open source program that uses your computer’s webcam to calculate the ambient light intensity and adjusts your screen’s brightness accordingly. Its execution has four cycles: dawn, day, sunset, and night. In each period, it adjusts the backlight of your display accordingly, keeping you safe at all times day or night. Calise has an interactive and customizable GUI, giving you the option to manually adjust the backlight level if not satisfied with the system generated results. 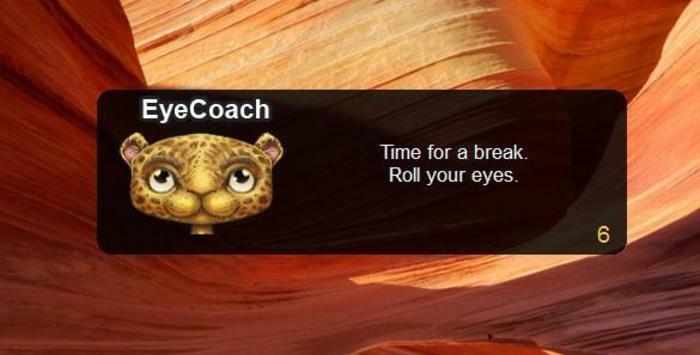 EyeLeo is a handy application for PC that regularly reminds you to take breaks from your PC screen. It has a mascot who will notify you of any incoming breaks and shows you simple eye exercises to prevent you from working during break hours. You can enable the strict mode to prevent you from skipping any break. Following EyeLeo’s regulations will help reduce eye strain which results in less physical fatigue and an overall healthy working condition. 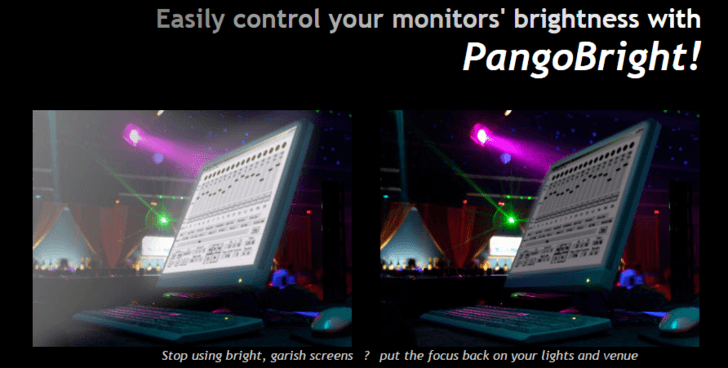 Pangobright is a screen dimming software for adjusting the brightness of your monitor as well as external monitors. After installation, it sits in the system tray enabling you to adjust your screen’s brightness with a single click. The free app for Windows can be very useful in a multi-monitor setup since it gives you control over multiple monitors. You can adjust the brightness level of each monitor independently according to your preferences. Just as the name implies, Protect Your Vision keeps your eyes safe by reminding you to take short breaks on a regular basis. It has three modes to select from namely 20-20-20, custom, and 60-5 mode. The 20-20-20 mode requires the user to gaze at an object 20 feet away for 20 seconds after spending 20 minutes on the computer. The 60-5 mode requires the user to take a five minutes break after every hour spent on the computer, while the custom mode allows the user to define the frequency of the breaks. If you are a workaholic and spend most of your time on the computer, then you need a software that will remind you to take breaks without being annoying. The software uses the gentle tone of a Tibetan singing bowl to notify you that it’s time for a break. And if you choose to ignore it, the app will not nag you. It will wait till another hour passes, then it will chime twice and so on. In addition, the software will show you the amount of time you have spent on the computer without a break. It takes a muted and more subtle approach so as not to interrupt you from your busy schedule. Everyone who spends more than 4 hours per day looking at a display needs a software to reduce eye strain. Getting an eye strain software is the first step towards protecting yourself from eye strain and its related problems such as computer vision syndrome. 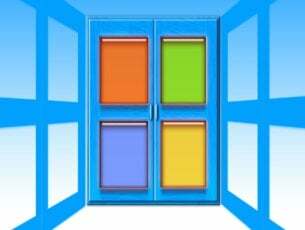 And since most of these software programs are available as freeware, it will cost you nothing to try one. 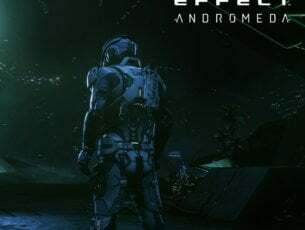 So why don’t you give it a try and let us hear your experiences in the comments section below.